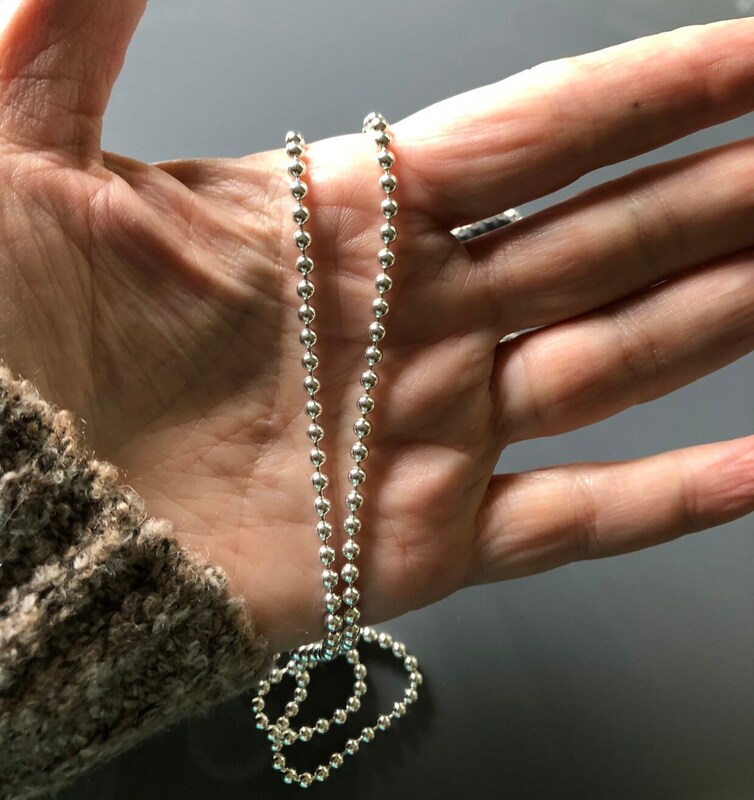 This heavy 30-inch-long bright sterling silver bead chain is the widest gauge I’ve seen at 3mm. Finished with a sterling connector stamped .925. The beauty of the 30-inch length is that it will fit over your head without opening the connector clasp.